Food insecurity impacts 8.5 percent of adults age 65 and older in the U.S. That percentage climbs to 12.3 in Mississippi, the state with the greatest number of older adults who experience some level of food security. David Buys, researcher in the Mississippi Agricultural and Forestry Experiment Station and health specialist with the MSU Extension Service, recently authored a chapter about food insecurity and older Americans in the third edition of the "Handbook of Clinical Nutrition and Aging" published by Humana Press. The chapter discusses how food insecurity impacts public health. Buys is conducting research on programs for people returning home from the hospital. His study has found that the health implications of food insecurity in older adults are considerable, specifically for those who have been admitted to the hospital for treatment of chronic conditions such as diabetes and hypertension. Buys said food insecurity increases these individuals' chances of returning to the hospital. Methyl bromide is a broad-spectrum pesticide used to eradicate ham mite infestations. However, the pesticide depletes the ozone layer and is scheduled to be phased out by 2015. In conjunction with entomologists at Kansas State University, MAFES researchers evaluated the effects of treatment with ozone, carbon dioxide, sulfuryl fluoride and phosphine on ham mite survival, volatile flavor compound concentrations and sensory quality of dry-cured hams. 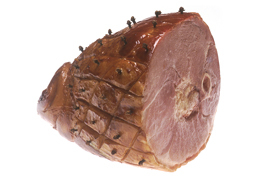 Under laboratory conditions, phosphine and ozone showed some potential for eradicating ham mite infestations without affecting the sensory characteristics of dry-cured ham. MAFES scientists found that X-ray treatments and natural additives, such as essential oils and citric acid, can reduce pathogens in food products, including seafood, produce, poultry, and dairy. 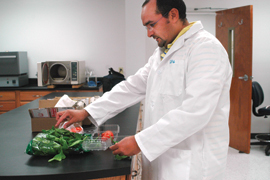 Barakat Mahmoud, a food safety specialist at the Coastal Research and Extension Center in Biloxi, showed that X-rays improve the quality of seafood and produce while also extending their shelf life. X-ray radiation can be used to reduce concentrations of pathogenic bacteria, such as Vibrio, Campylobacter, Salmonella, and E. coli. Vibrio, a particularly dangerous pathogen found in the Gulf of Mexico and other marine environments, is a significant problem in the oyster industry. 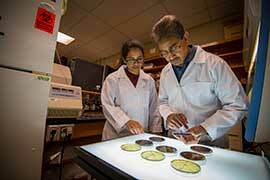 X-ray technology also proved effective at eliminating bacteria that cause food spoilage. For example, spinach irradiated with X-rays will last 30 days longer. This technology is proving its superiority over other technologies at eliminating bacteria in food products. According to the Centers for Disease Control and Prevention, foodborne pathogens cause an estimated 47.8 million illnesses, 128,000 hospitalizations and 3,000 deaths in the U.S. each year. Taejo Kim, scientist in the Mississippi Agricultural and Forestry Experiment Station and assistant research professor in the Department of Food Science, Nutrition and Health Promotion, has discovered a way to make industry-wide testing of Salmonella, Listeria, E.coli and certain strains of Vibrio fast, easy and affordable. His rapid test kits require no analytic instruments; can detect pathogens in 24 hours or less and are extremely reliable. Additionally, the kits culture whole cells so technicians don't have to be skilled in extracting DNA, making it easier to use than other commercial test kits currently on the market. As consumer interests for forage-finished beef increases in the U.S., Mississippi Agricultural and Forestry Experiment Station scientists, Wes Schilling and Byron Williams, are studying different forages and the effects on beef quality and taste. 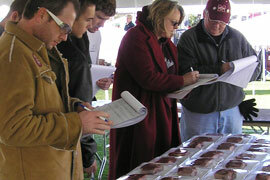 Scientists conducted one study in the Experiment Station's Prairie Research Unit, examining the quality of beef foraged on native grasses and bermudagrass. In a separate study, scientists compared grain-finished and forage-finished cattle. 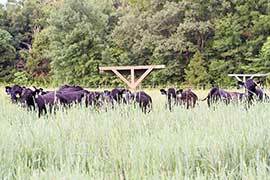 In both studies, researchers found that native warm-season grasses are acceptable forage for beef cattle during the stocker phase, producing a lean, high protein product with positive consumer acceptability. Food scientist Byron Williams, who spent 15 years in the food-processing industry before beginning his career at Mississippi State, focuses on food safety and value enhancement in his research and through educational workshops for processors and associated agencies. In a recent project, Williams studied pork processed through "hot boning," in which meat is removed from a carcass before chilling. He examined the effects of combining commonly used antimicrobial ingredients on the quality, bacterial content, and sensory characteristics of sausage patties made from hot-boned pork. Williams's study found the experimental patties were acceptable in all these traits, in addition to having an extra 3 days of shelf life. Other ongoing research explores strategies for improving quality and safety of raw materials and methods used in many Southeastern food-processing plants. Limited access to fresh produce is an issue that plagues disadvantaged communities throughout the United States. Dr. Marie Allsopp, former assistant professor and director of MSU's Didactic Program in Dietetics, studied an initiative in the state of New York. The work there could potentially serve as a model for places like Mississippi, by helping address food access issues by giving food banks money to purchase from local producers. After the initial success with the program called the Hunger Prevention and Nutrition Assistance Program, which supplies food and financial support for the emergency food network throughout the state of New York, Allsopp is researching how the program can be replicated in other states, particularly in a state like Mississippi, which has a long growing season and plenty of agriculture. "It could be a win-win situation where farmers have regular support from food banks purchasing their produce, and people have greater access to fresh produce," Allsopp said. 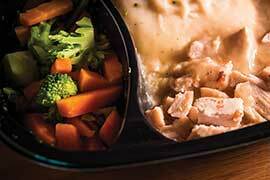 In Mississippi, the need to get people eating healthy is pressing. The state is one of the top five most obese states in the country and has the highest rate of diabetes and hypertension. An unhealthy diet is one factor that can contribute to or exacerbate these issues. Local foods can play a role in this transition by providing healthy options to begin with—and a program like the locally grown produce initiative Dr. Allsop studied in New York could help along the path to a healthier Mississippi. MAFES researchers recently conducted a study to gauge the public’s willingness to pay extra for thicker, heartier steaks. The study found that most consumers did not highly value thickness. Only 23 percent of consumers listed thickness as the most important factor of a rib eye, making it only the third most important attribute. Thirty percent cited marbling as the most important attribute of rib eye, making it the most important factor tested. Thickness only defeated marbling for first place with the sirloin steaks. The study found that even if consumers are not willing to pay more for thickness, most of them are willing to pay more for characteristics such as color and marbling. Finding natural antimicrobial compounds in fruit to enhance the safety of its juice is of great interest to the beverage industry because Escherichia coli, which causes foodborne illness, can survive in acidic environments for long periods. 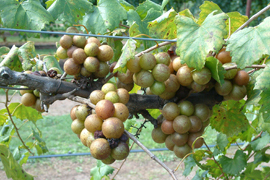 Muscadine grape is indigenous to the Southeast and contains a large variety of antioxidant phytonutrients. MAFES scientists found that red muscadine juice has natural antibacterial substances and suggest that these can be used as active antimicrobial ingredients against E. coli in nonalcoholic beverages. 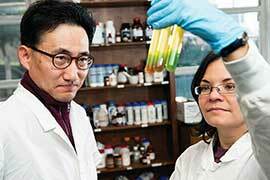 Food scientists Tae Jo Kim and Juan Silva developed a simple test kit that can be used to detect Salmonella in food, water, and environmental samples. This unique detection mechanism consists of a single test tube that can expose the presence of Salmonella in a sample without the need for any additional equipment. The kit, which can be stored for long periods at room temperature without losing its effectiveness, is inexpensive compared with similar products. 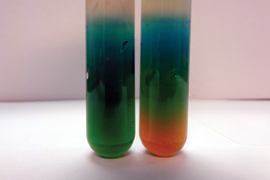 After demonstrating the effectiveness of the technology in several lab studies, the MAFES scientists optimized the Salmonella test kit to perform in industrial and laboratory settings. They received a provisional patent on the technology and are ready to implement it in a commercial setting. Salmonella is the most frequent cause of short- and long-term food-borne illness, causing about 1.4 million food poisonings in the U.S. each year. With three growing seasons, Mississippi has an ideal climate for showcasing small-scale raised beds for food production. 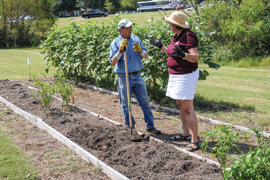 Landscape architect Pete Melby and dietician Sylvia Byrd directed a teaching and research project to determine if household raised vegetable beds would provide the recommended amount of vegetables for a family of four. Equally important is the project's goal of demonstrating one of the key components to sustainable living: food production. Students in Melby's sustainable communities class built four 3-by-40-foot raised beds on the MSU campus and planted a spring garden. Nutrition students planted a summer garden and quantified the nutritional value of the harvests. Melby and Byrd hope their findings will inspire homeowners to plant similar gardens. Kudzu was introduced in the U.S. in 1876 and now grows more prolifically in the South than anywhere else in the world. 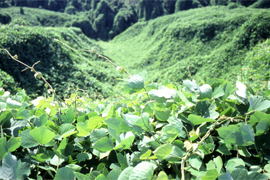 Kudzu is an edible plant from the legume family, thus all parts of the kudzu plant are edible. A MAFES study was conducted to determine consumer acceptability of kudzu jelly and dip products through sensory testing. Consumer acceptance of both products was favorable.